Source of lung donated to First Lady Nechama Rivlin identified as Israeli teen who died in diving accident near Eilat. 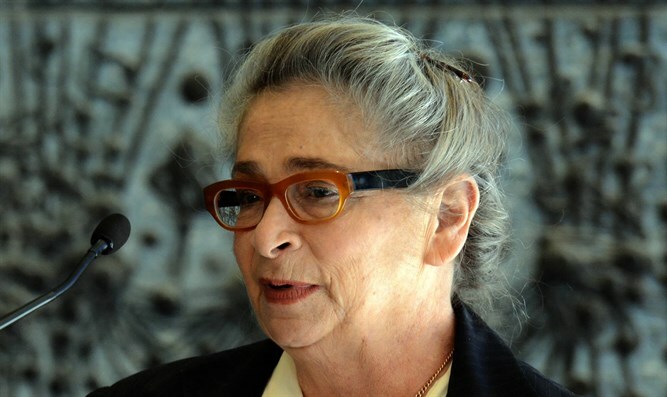 Earlier this week, Israel’s First Lady, Nechama Rivlin, underwent a lung transplant surgery, a spokesperson for President Reuven Rivlin’s office announced. The procedure was performed successfully Monday at Petach Tikva’s Beilinson Hospital, and Mrs. Rivlin was said to be in stable condition following the surgery. The 73-year-old First Lady had been suffering from pulmonary fibrosis for years, and had been on a waiting list for a lung donation. With her illness worsening in recent months, Mrs. Rivlin had been forced to use an oxygen tank – that is, until she and President Rivlin received a phone call Sunday, notifying them that a lung was now available, paving the way for the transplant. On Tuesday, the source of the lung donation was identified as an Israeli teenager, who had died in a tragic diving accident near the port city of Eilat. According to a report by Yediot Ahronot, the lung came from 19-year-old Yair Yehezkel Halbali, who died in a tragic accident Friday. The teen had gone to Eilat with a friend last Wednesday for what was supposed to have been a week-long trip of camping and diving. During one dive on Friday, however, Halbali apparently fainted and drowned after trying to dive into a sunken warship. "From what we understand, he spotted a sunken missile boat and wanted to swim out to it," Halbali’s sister, Amit, said. "He was always sure of himself, he had no fear. Someone who was on the beach contacted us and told us that Yair waved at him, but then apparently fainted in the water." After the family decided to donate their son’s organs, they were shocked to learn that one of his lungs had gone to the Israeli First Lady. "We did not know who would receive the organs, it was simply important for us to save lives," Amit said. "I would like Nechama and Reuven to know that they were given a great gift, that Yair's light and courage will propel all the transplants and strengthen them."